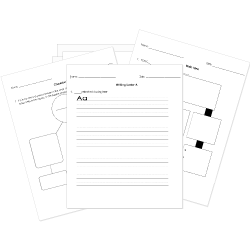 You can create printable tests and worksheets from these Grade 5 Authors questions! Select one or more questions using the checkboxes above each question. Then click the add selected questions to a test button before moving to another page. In "The Lion and the Bull," what is the best supporting detail for the theme? ...it is hard to resist watching a good meal." Then one day the bulls had a fight. "...but they kept together and helped each other to drive him off." The lion had been watching three bulls feeding in an open field. The theme of "The Lion and the Mouse" is that friendship appears in many forms. Aesop's fables are examples of folklore.